The exotic Mount Harriet national park located in the Andaman and Nicobar Islands surrounds the Mount Harriet Peak, which is the third highest peak in Andaman and Nicobar Islands after Saddle Peak and Mount Thullier. The national park is the closest to the main link point of Port Blair of all nine national parks of Andaman situated across the various islands. It is also the most picturesque one. From certain vantage points before reaching the main entrance of the national park, tourists can take a beautiful view of the popular North Bay Island. The Peak is covered with dense vegetation. It was the summer home of the chief Commissioner under the British occupancy. The gentle slopes have a thick cover of tropical forests. Among all the peaks of South Andaman, Mount Harriet is the highest. This mountain was named after the second wife of the British soldier Robert Christopher Tytler. He was also a naturalist and photographer. The mountain surroundings provide the ideal deep forest feeling. It also gives you some distant views of Port Blair City and also of the Ross Island. Mount Harriet is located in the Ferurganj Tehsil of Port Blair and takes around one hour to reach by road from the central parts of Port Blair. It can also be approached via ferry service. Time taken to travel to Mount Harriet from Chatham and Phoenix Bay Jetties is about 15 to 20 minutes. The ferries take to the Bambooflat. From this point, there is a 15-minute drive along the coast though the winding uphill roads. It can also be covered in a day trip. The idyllic view of sunrise and of all the surrounding Andaman Seas from the Mount Harriet Peak is absolutely gorgeous. Though it does not offer much adventure activity one can spend a couple of quiet days here by simply relaxing and taking in the views around. Light trekking option is open for the trekking enthusiasts. The singing of the winds through the greenwood trees and the incessant chirping of birds will set a merry mood for any traveller. The view of the North Bay Island from Mount Harriet is absolutely charming and is the view that we perceive printed on the back of a 20 rupee note of the Indian currency. Mount Harriet National Park offers a wide diversity of flora and fauna. The range and variety can be judged from the fact that there are about 28 species of reptiles, 6 different species of land molluscs, 16 species of aquatic fauna, more that an amazing 134 plant and tree species and also shelters 7 almost threatened bird species. 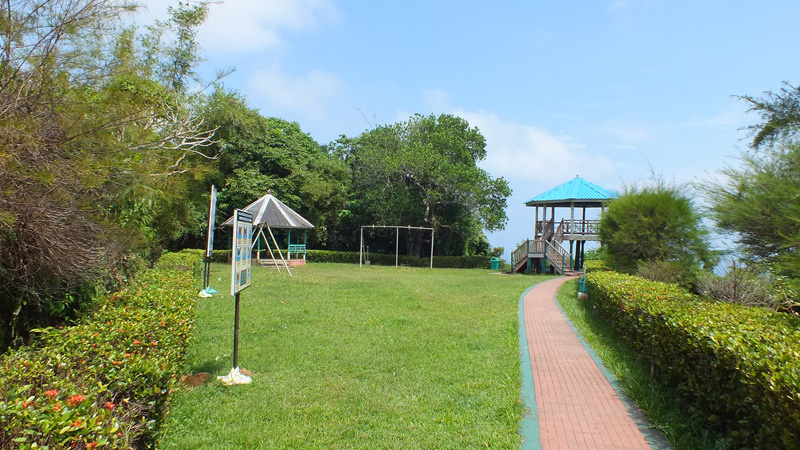 This park is a major attraction to bird watchers for the wonderful variety that it shelters.